“You’ve got an opportunity to chat with the prime minister.” Justin Trudeau wished everyone a “Diwali Mubarak!,” raising hackles from folks who know that's an Arabic word. The snafu came at the end of one exasperating day: an announcement in Stouffville of a small business tax cut had the PM smarmily telling reporters (twice!) 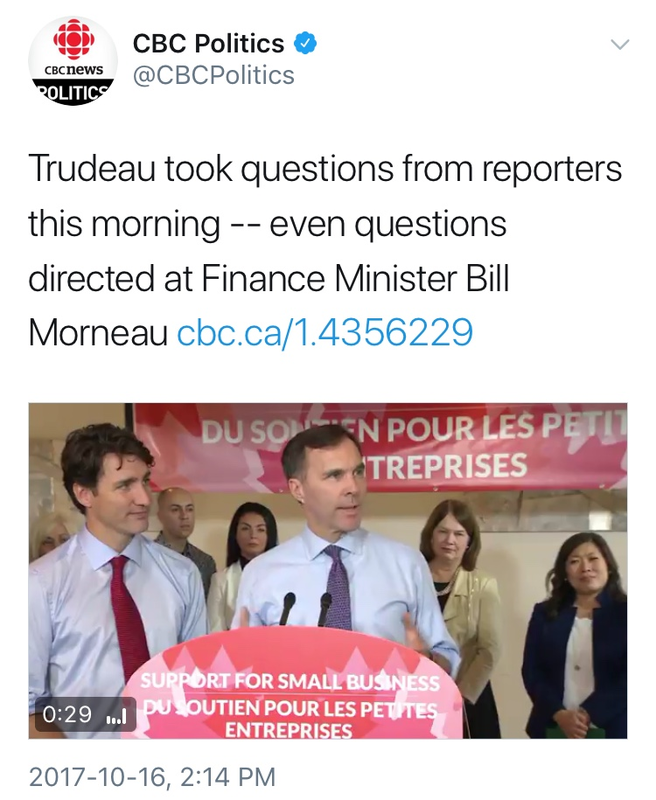 that they should talk to him rather than Bill Morneau about the latter's lack of a blind trust—although the finance minister had to succumb to those who weren't spellbound. Dr. Kitty offered “face-slimming injections” on a Chinese restaurant wall. New details about the case of Jingyi “Kitty” Wang, who was criminally charged after allegedly botching a bogus procedure in a Bayview and Sheppard basement, provide a helpful reminder that Botox is best not injected by a 19-year-old. Also, in case there was any doubt, police confirmed Dr. Kitty is not a child prodigy. 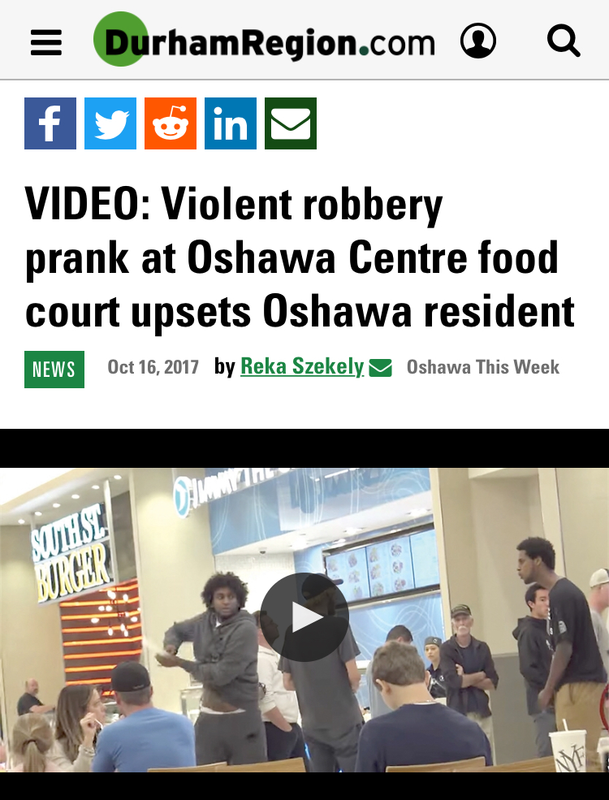 Oshawa Centre food court rattled by viral video pranksters. 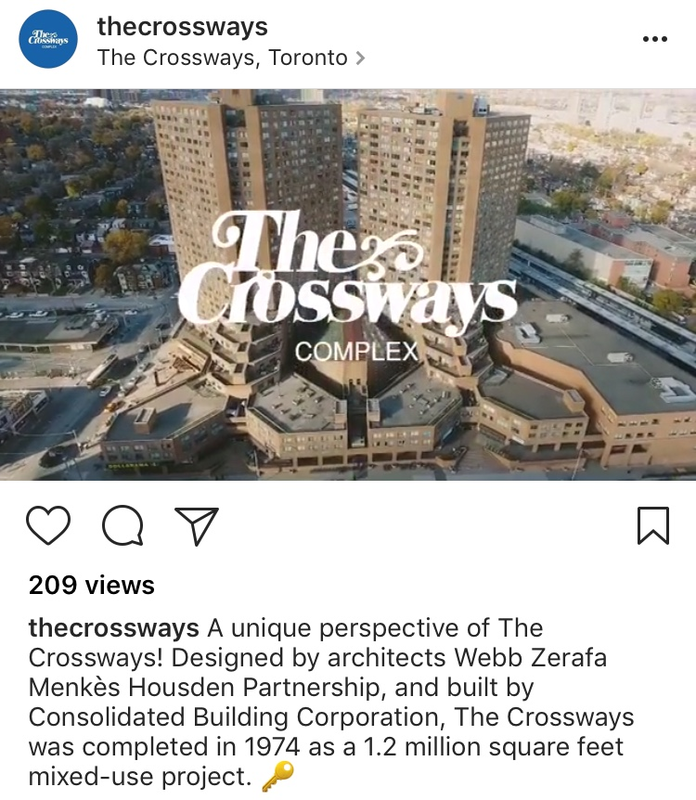 Two young Toronto men were charged earlier this year after they posted video of a series of intimidation pranks online, but that didn’t discourage a similar production in Oshawa. Jake Hillhouse, who played the victim (and proudly posted the clip) claims that he doesn't perform around people who might have a heart attack—even though he acknowledges that one child screamed in horror. The freed Taliban hostage comes through with the clickbait. Joshua Boyle, recently released after five years of being held prisoner in Afghanistan (he also happens to be the ex-husband of Omar Khadr’s sister) explained the rationale for his American wife Caitlan Coleman having three kids during their captivity: “Cait’s in her 30s, the clock is ticking,” he said. (The Taliban issued a statement to say a fourth baby was miscarried.) Boyle’s admission to the Toronto Star that he didn't believe his captors when they told him that Donald Trump was president has become fodder for American news aggregators. Liberal MPP Cristina Martins is introducing a bill that bans all employers from requiring women to wear these in the workplace.